Please welcome Melissa Long to the blog. Read about all of our writers here. 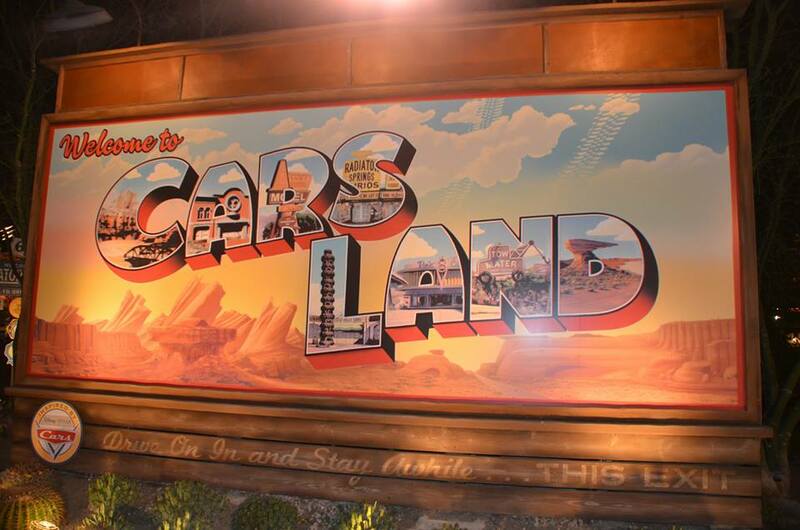 One of the latest and greatest additions to Disney’s California Adventure Park is Cars Land! If I had to choose one word to describe this land, it would be: AMAZING!!! From the moment you approach Car’s Land from a distance, your breath is taken away by the sheer beauty and detail that you are looking at. 1. Start at the beginning! 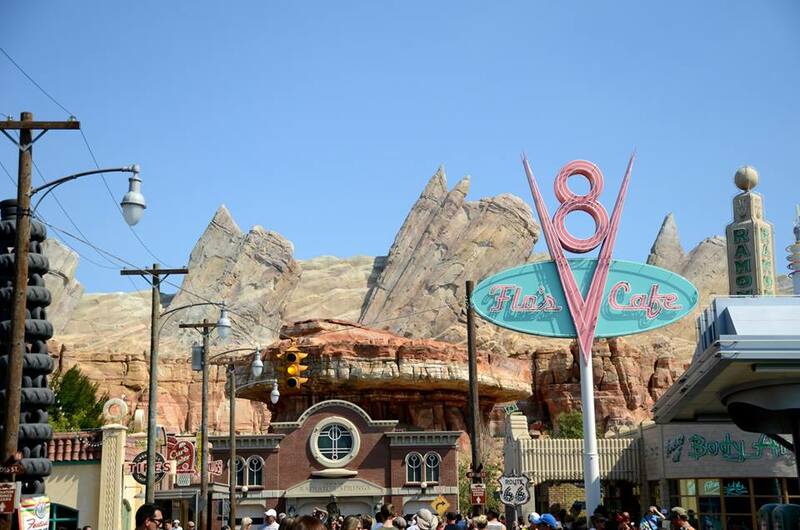 There are three different ways you can enter Radiator Springs. There are two back ways, either from Pacific Wharf or A Bug’s Land. The way to see it the first is starting at the ‘front’ of the land. Just walk straight down Buena Vista Street and continue on that until Car’s Land appears on your left. This way, you can take it all in the way it was intended to be seen, from the Cozy Cone Motel, Flo’s V8 Cafe, and the gorgeous backdrop of the Cadillac Mountain Range. 2. Ride Mater’s Junkyard Jamboree. It may look like a kids ride, but boy is it fun! It whips you around and around and you will be laughing so hard, your side aches. The queue for this line is awesome too. It’s like you are getting an extra look inside who Mater is since you are in his home. 3. 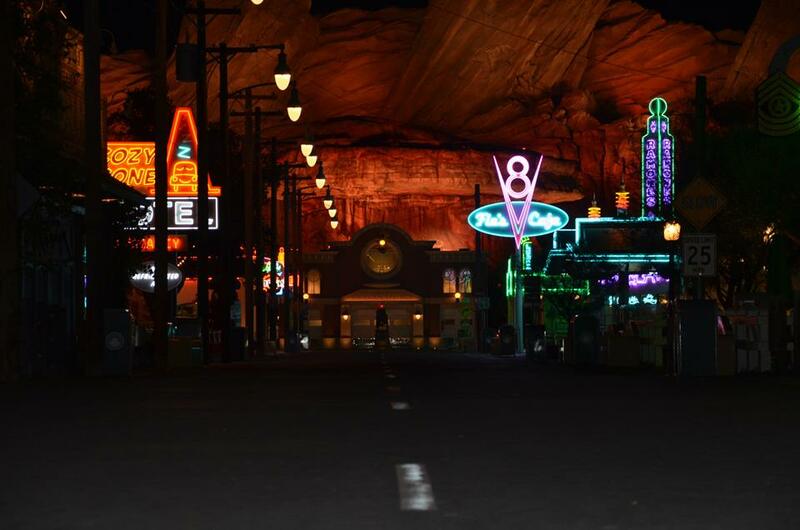 If you are wanting to ride Radiator Spring’s Racers, get to the park early. Since this is a new attraction, the fast passes sell out super quick and this way you and your loved ones can all ride together in the same car. Although, if you aren’t one to get up early or you are visiting Disneyland first, don’t worry! This ride has a Single Rider Line! If there are just two of you, you will even most likely be sitting in the same car, just one person in front and one in the back. On our last trip, we got a fast pass once for this ride, but returned multiple times to ride via the Single Rider Line. Also – you don’t want to miss this ride! So if the line is a 160 minute wait, take advantage of that single rider line, it will surely cut the wait time in half. 4. GO TO THE LIGHTING! Do you remember that moment in the movie, where everyone comes together and gives the town a face lift and repairs all the neon lights? Well, every night, as soon as the sun sets, this same thing happens! This is a MUST see and a great picture opportunity! 5. My last tip is if you are staying around to watch World Of Color that night, as you exit, take a detour through the Pacific Wharf. 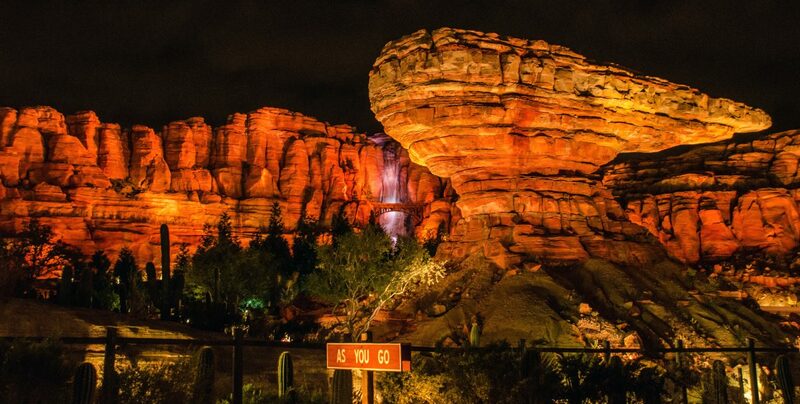 This way, you can wander through the mountain range and the rest of Car’s Land when not many people are there and everything is lit. This is a great time to take it slow and just wander. You never know what you will stumble upon. Now – GO! You won’t regret it!